Click to return to the Flood Information page. For a map that highlights the City’s current floodways and zones, click the image below. 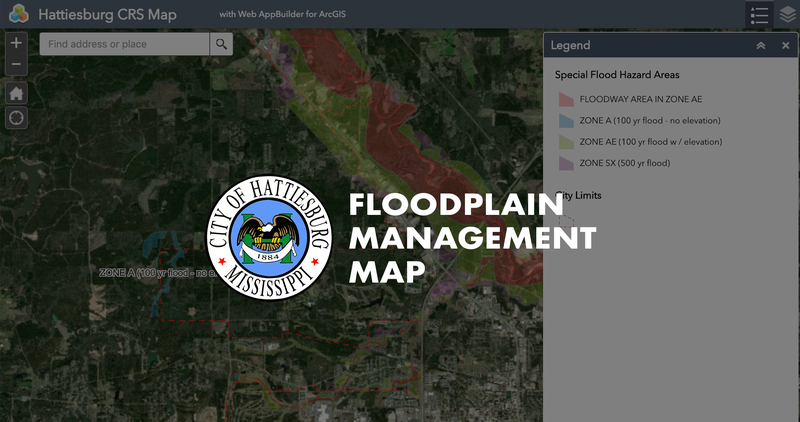 To help limit the severity of floods and resulting damages, a Building Permit must first be obtained any time development is to take place within Hattiesburg. The proposed work is checked for compliance with the City’s Flood Damage Prevention Ordinance. Development within the floodplain is closely controlled, and is prohibited if any increase in the flood hazard results.